Any female cat that is not being used for breeding purposes should be spayed. This procedure prevents unwanted litters and deters certain possible medical problems. Typically, cats are spayed at the age of approximately six months, but the procedure can be performed earlier or later. Older cats undergoing this and other surgeries usually require more extensive preoperative testing to assess the risk of anesthesia. Breeding cats should be spayed after retirement. Clinically referred to as an ovariohysterectomy, spaying involves surgically removing both the ovaries and the uterus. General anesthesia and postoperative pain management ensure that the cat will feel little to no discomfort. Although complications are possible with any surgical procedure, spaying is extremely safe, effective, and inexpensive. A very common procedure for female cats, ovariohysterectomy is the surgical removal of the ovaries and uterus. The surgery is performed under general anesthesia. An incision is made into the abdominal cavity to allow access to the entire reproductive tract. Each ovary is loosened from its attachment near the kidney and then is double ligated, meaning the blood vessels are tied off with two separate sutures. The tissue is transected, or cut, with a scalpel blade and observed for bleeding. 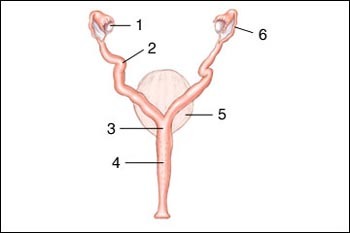 The ligaments of the uterus are detached and the uterus is double ligated just above the cervix. This tissue is cut and examined for bleeding. Before closing the surgery site, all ligatures, or sutures, are checked again to ensure that no bleeding is occurring. The abdominal incision is then closed in two layers: the internal muscle layer and the skin are sutured separately. Sometimes the skin is closed with absorbable suture or skin glue, a procedure which does not require a return visit to the veterinarian unless there are complications. However, certain veterinarians select external skin sutures that are nonabsorbable, requiring a suture removal appointment in seven to 14 days. During this appointment, the veterinarian will be able to evaluate the incision. Cats that have an ovariohysterectomy typically recover quickly with no lingering ill effects. The procedure has been a safe and effective technique for many years and can be used to prevent or treat serious reproductive disorders. The veterinarian performing the procedure can explain the specific anesthetic protocol and surgical procedure that they will use. All surgical patients should receive a complete preoperative assessment that includes a background inquiry, a physical examination, and screening blood tests appropriate for each individual case. Young, healthy cats may require minimal testing compared to an older cat. It is also ideal if the cat is not in heat or pregnant at the time of surgery. Spaying is slightly more difficult under these conditions since there will be an increased uterine size and blood supply. The examining veterinarian will discuss with the owner whether to postpone surgery based on the exam, if the cat is pregnant or in heat, and the screening test results of the cat. Cats should be kept inside for 10 to 14 days following surgery. No running, jumping, climbing stairs, or licking the incision should be allowed. These are natural behaviors that can be difficult to prevent, but restricting the cat within one or two rooms may help decrease activity. The incision should be checked daily for any signs of swelling, redness, or warmth. Cats that repeatedly attempt to lick the incision may need to be fitted with an Elizabethan collar to prevent them from reaching it. If the proper precautions are taken, the risk of complications is minimal. If complications do occur, however, notify the veterinarian promptly so that the problems can be resolved. Dehiscence, or separation of the incision layers, is an emergency situation that requires immediate surgery to replace abdominal contents. Cats can chew their sutures and cause great damage to the abdominal organs within a very short time.